Finned Strip Heaters With Offset Terminals Are An Efficient Source For Surface Heating In Industrial And Commercial HVAC Applications. 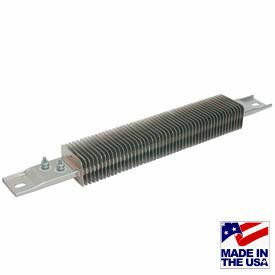 Finned Strip Heaters With Offset Terminals provide surface contact heating through heat-dissipating fins. Fins provide efficient heating in air or gas process heating applications. Moounting dimensins range from 9-12" - 47". Lengths range from 10-1/2" - 48". Watts square inches range from 14 - 36. Volts are 120 or 240. Watts vary per model. Offset Terminal Channel Strip Heaters Provide An Efficient Source For Surface Contact Heating In Industrial And Commercial HVAC Applications. 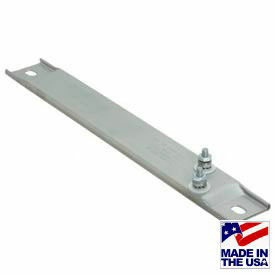 Offset Terminal Channel Strip Heaters provide surface contact heating where even heat over broad surface area is desired. Voltages are 120V and 240V. Wattages range from 150 - 2250. Watts square inch, lengths and mounting dimensions vary per model. Vulcan Strip Heater OS1212-250A 250W 120V 12" x 1-1/2"